WINNER OF CSN $50 GIFT CERTIFICATE ! First of all I would like to thank everyone who has left a comment for the giveaway. The response was overwhelming. 234 comments in all. I can't thank you all enough for taking part in this giveaway. My apologies for the delay in this announcement. I have yet to figure out a way to copy and paste the random number generator with the winning number on it. I couldn't. And do be on the watch out for more giveaways in the future everyone. Have a wonderful day! First of all I apologize for the photographs. Don't you hate looking at things that are out of focus? I do. I almost did not post this. But sometimes ~ who cares. Nevertheless, I posterized it to make it more palatable to my senses. And hopefully to yours as well. Brunch is a housewife's dream meal. 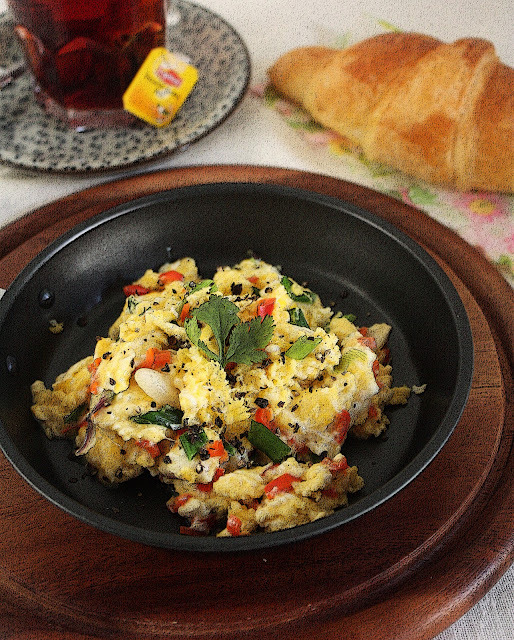 Anything that would not require an early morning rise or the preparation of 2 meals within a matter of 3 to 4 hours. Of course what would be even more of a dream would be to be to be able cook only when one feels like it. Which would be everyday if only we didn't have to. Or everyday if we were being paid handsomely for it or everyday if we didn't have dirty dishes, housework and child raising thrown in or everyday if cooking were, truly, like painting, an art. Where we could chuck the wooden spoon aside like we would a paint brush when we are out of steam. Where everyone would be nodding in unanimous understanding and sympathy and be saying..."She needs inspiration.". Huffing and puffing and sweating it out in solitary confinement in an isolated corner of the home, talking to one's self with dirty dishes piling up behind you is nobody's idea of a dream job. Therefore I brunch. Therefore I blog. Therefore I am. 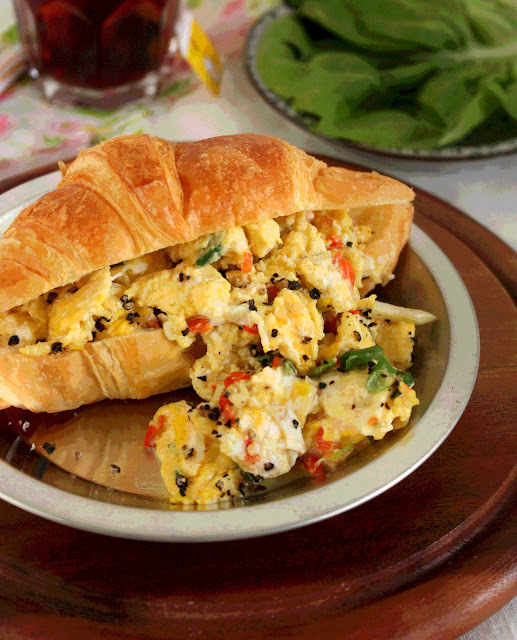 So this is a Malaysian scrambled egg. I call it brunch. Some may call it breakfast. But I may also call it dinner ~ when I'm tired. Heck, I'll call it anything I like. It needs birds' eye chillies, spring onions and should be somewhat clot-ish rather than fluffy to be good. Which it is. And no milk in it please. Break eggs into a bowl and beat briefly but not too much. We don't want it thoroughly and evenly mixed. Heat up the oil in a small pan, When hot throw in the spring onions and chillies and saute for a 5 seconds. Pour in the half beaten egg and allow it to set a little before starting to scramble. Clotty-ish is what we are looking for here, with clumps of eggs rather than a fluff of eggs. Add salt as you go along. 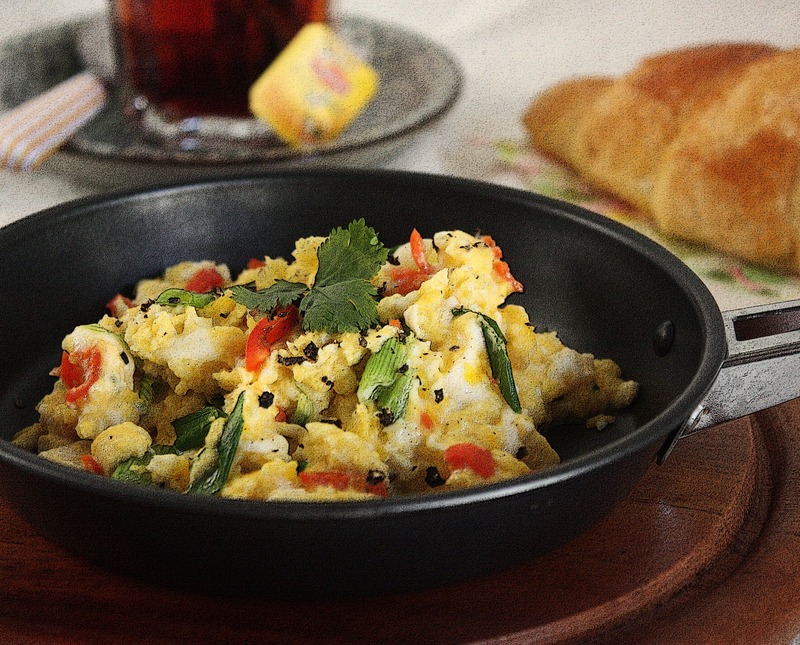 Once the eggs are almost set take it of the heat and scoop into a plate immediately to prevent further cooking. We don't want it to be dry either. Sprinkle with black pepper and eat with toast or do it the Malaysian way by tearing up pieces of namby pamby soft, ready sliced, white bread and using that to scoop the scrambled eggs up with. In short...eat with your hands. Like us. Very yum if you ask me. At last our two older boys have graduated. 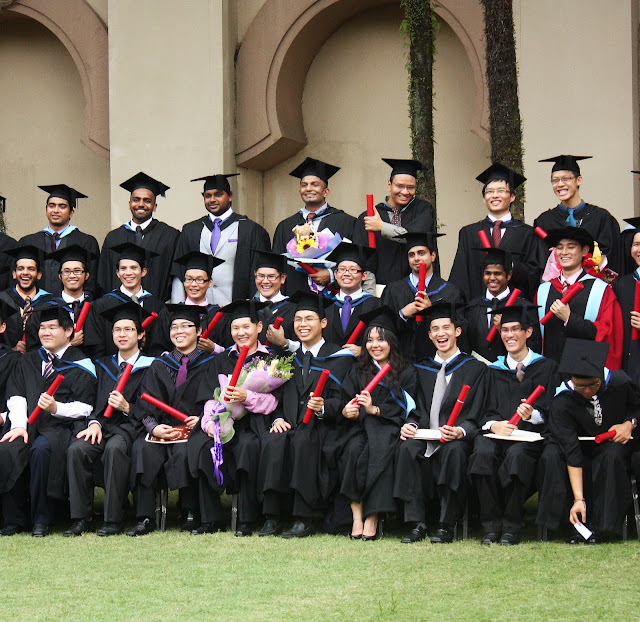 Both with a Masters in Engineering, Second class, Division one from the University of Nottingham Malaysia Campus. Yesterday was their graduation ceremony and there they were sweating in their robes, dampened underneath but happy and excited on the outside. Truly, robes and Malaysian weather are not the best of friends. Nevertheless, it was a sweet moment to witness and cherish. Four down done and one to go. Having two sons graduating at the same time is like having two luscious ice cream cones in each hand, to put it mildly. We look forward to the ' get-a-job ' phase to be over as well. We watched our boys, with the lightest of hearts, literally frolicking, each with the other, dark heavy robes swinging, mortar boards tumbling off, roaring occasionally, their limbs entangled, poking tummies and laughing as they queued up to get their photos taken. Just as they did as seven and eight year olds. Men will always be boys. How time does indeed not fly. The graduation ceremony was held at The Palace of the Golden Horses, The Mines Resort, a 5 star hotel, (I wished the upkeep crew were made to work a whole lot harder at every square inch of its building so that it looks 5 star), 20 minutes from the city centre of Kuala Lumpur. But the grounds were rather pretty and these young exuberant people had their group photographs and mortar board flinging sessions orchestrated on the lush green, palm tree fringed garden just to the side of the hotel. They were all being silly happy. For a dang good reason. I feel like berries on a cloud. This is really lovely. 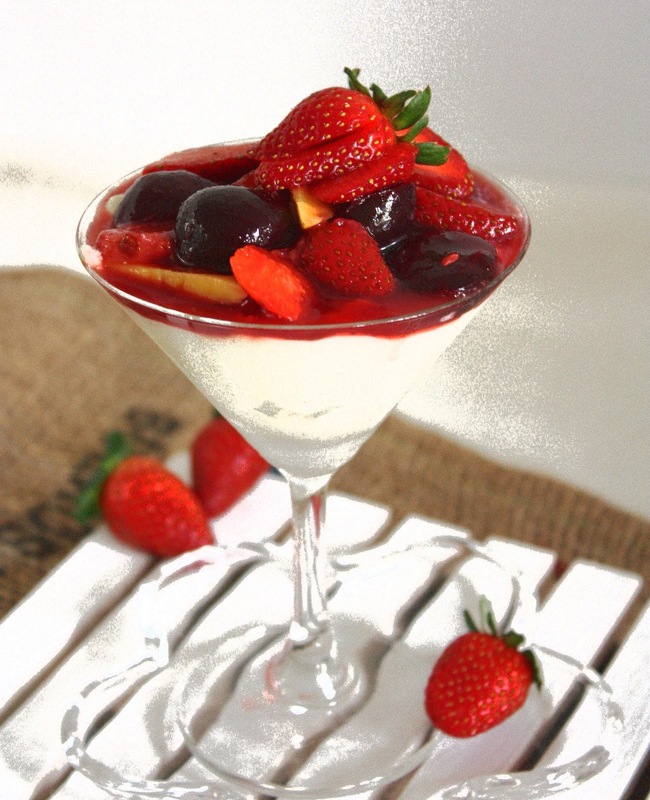 Like a cream cheese pudding and a slather of syrupy fruits on top. 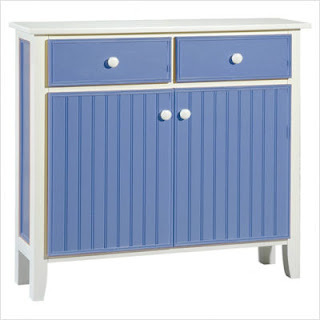 I just loved it. Beat cream cheese and sugar and vanilla ina large bowl with an electric mixer on medium speed until smooth. Beat whipping cream in a chilled bowl until stiff. Fold whipped cream and marshmallows into cream cheese mix. Divide the mixture between glasses. I made half the recipe. I think I got about 4 glasses depending on the size of your glasses of course. Stone and halve the cherries. Place them in a pan. 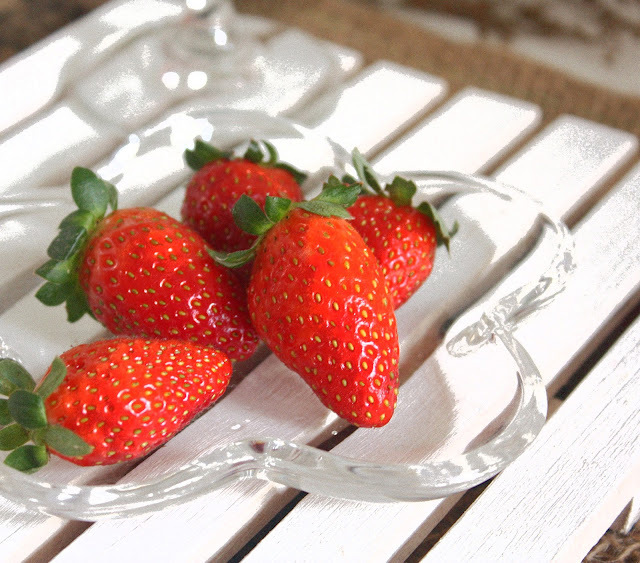 Add the strawberries, lime juice, a tablespoon or two of water and a little honey. Cook over medium heat until the fruits soften a little and there is some juice in the pan. Add balsamic vinegar. Stir for a second and turn off heat. 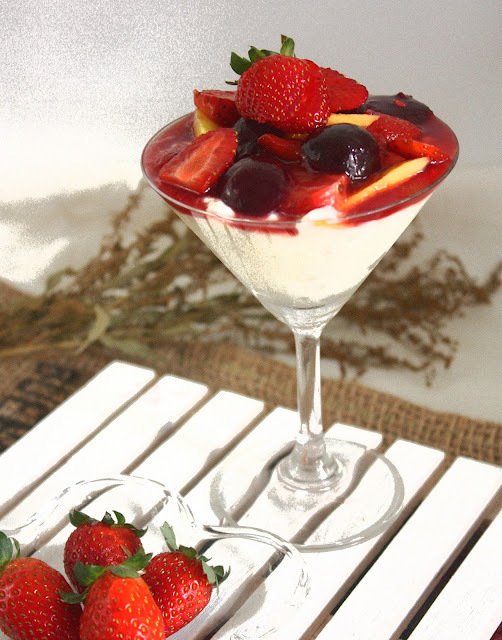 Add the sliced mangoes just before you would pour the berry mix over the cheese pudding. Do adjust the mix to your taste. Allow to cool completely before spooning over the cheese pudding. Serve chilled. 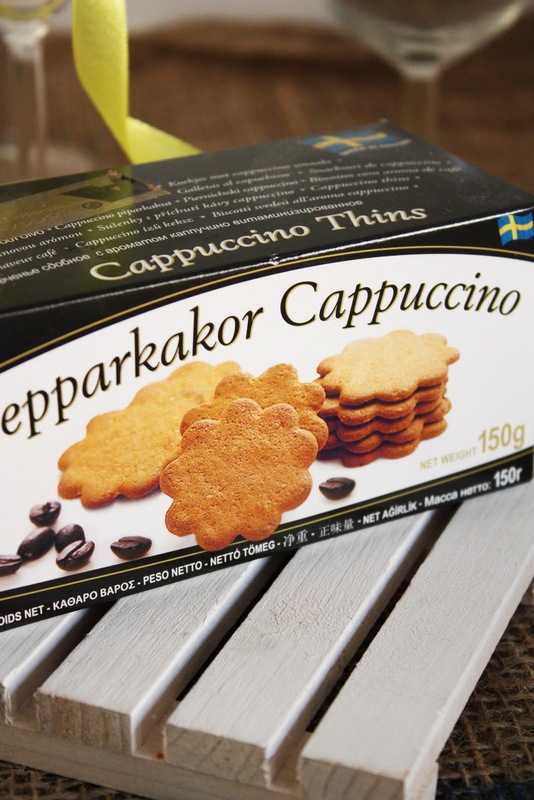 Oh so YUM. True. 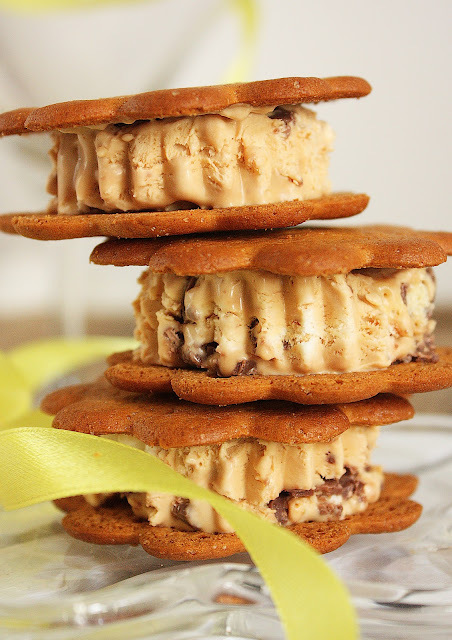 DULCE DE LECHE MALTESERS ICE CREAM SLICES and a CSN GIVEAWAY!! The promotion team at CSN Stores had contacted me saying that I have been selected as their preferred blogger. I was thrilled because it means another wonderful giveaway for my readers. This time it's a $50 gift certificate which allows you to purchase anything you like from CSN Stores. It also means regular giveaways at Cherryonacake in the future! The kitchen and dining room have always made up a large part of my life. Can you tell? So when CSN told me about their dining rooms I went on a haunt immediately. Oy! I thought I had died and gone to CSN heaven. You wouldn't believe what I saw. 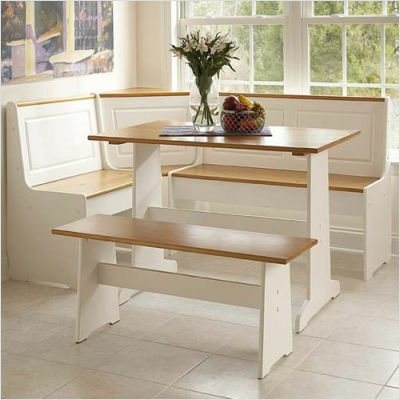 This Linon Admore 3 piece white pine corner Breakfast Nook would change my life. I would repent. I would live an exemplary morning life. I would not be the sleepy grouchy morning head anymore. I'll actually be alive. I promise. In fact I'll have so many hugs to giveaway I'd love this Home Styles Retro Soda shoppe 5 piece dinette. It's too cute not to hug. So Travolta. I need racks. We need racks. 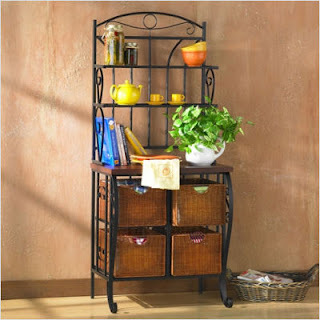 We need an SEI Iron and Wicker Storage Baker's Rack because I'm a baker. Oh honey! 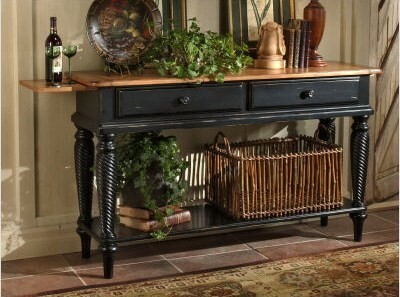 Did I tell you that I needed a Hillsdale Wilshire Black Sideboard Table...I do. Blink. Oy! What's this?! 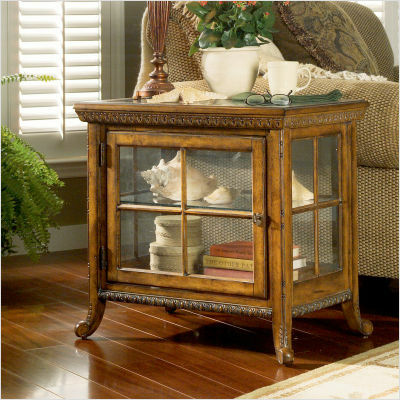 I want a Butler Vintage Oak Chair Side Curio too. For my what-nots. 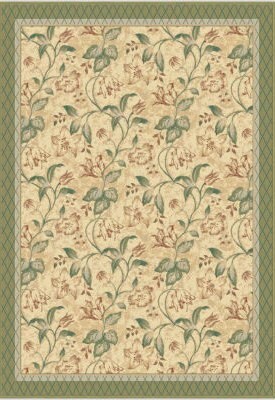 I know Seraphina the Fairy would love this Kathy Ireland Area Rug. Because it's like a little garden within. If you would like to try for the giveaway just leave a comment and tell me what you would really like to get from CSN Stores if you won the $50 gift certificate. If you would like to try for more entries tweet, facebook or blog about this giveaway. For each activity that you do leave a comment and the link. The choice is yours. I'll keep this giveaway open for 10 days. I 'll pick the winner randomly. (I wish I could figure out how to use that random number picker. If anyone has an idea please let me know). I'll announce the winner on the 31st of July. Dulce de leche has been a big part of our lives since we met her. I've made 3 cans since. Bad. But this time I'm using it to make ice cream. Good. This Ice cream slice is an Oz thing. So says Clare of Mrs. Multitasker. That was where I found it ~ On her lovely blog. I had sandwiched the ice cream in between 2 slices of Ikea's Pepparkakor Cappuccino. 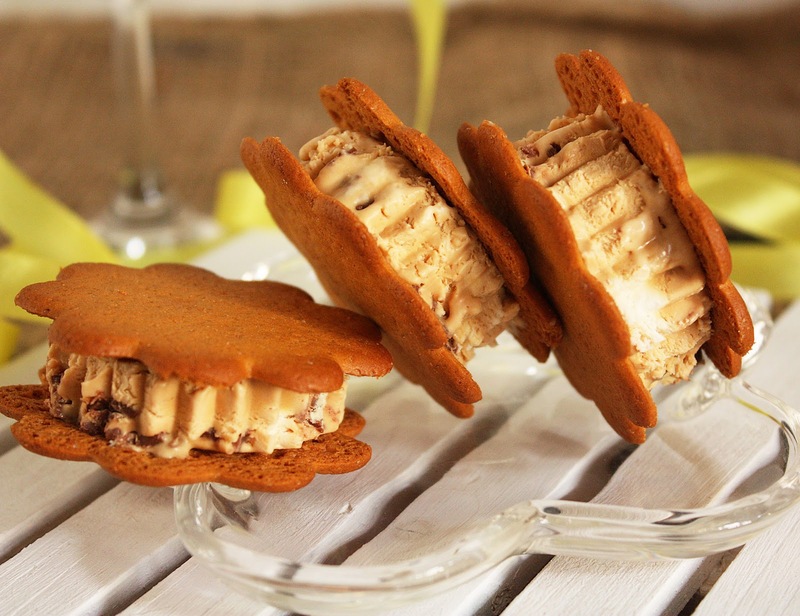 Then Dulce de leche, Maltesers and Cappuccino, they became the 3 great companions in these cool creamy slices of heaven. This is an ice cream made originally from whipped cream and condensed milk straight from the can. Now we know why it's so good. Grease a shallow 15 x 10 rectangular pan with butter. Whip the cream using an electric mixer on high speed until it thickens and falls from the whisk in a thick clump. If your dulce de leche is very thick as mine was thin it down with a little of the extra cream first until it becomes soft, smooth and is the consistency of condensed milk. But make sure it is not too runny. Fold in the dulce de leche and the crushed maltesers into the whipped cream until everyhting is evenly mixed. Pour into the greased pan and freeze. 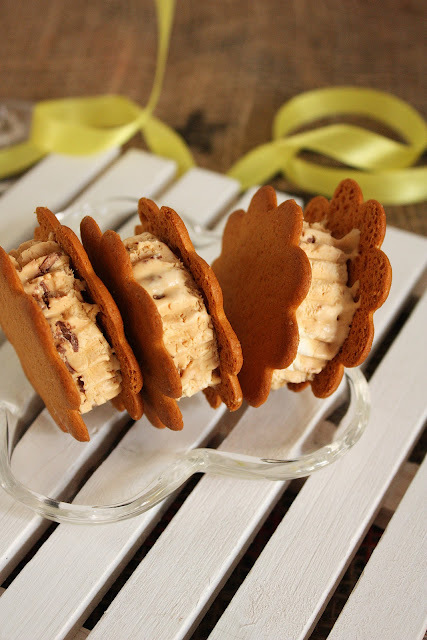 When the ice cream has frozen use a cookie cutter the same size as the cookies you're using and cut out circles or squares and sandwich them in between two cookies. Serve cold immediately. This is my long delayed fifth contribution to Food For Thought, the brain child of the lovely and brilliant Jain of Once in a Blue Moon. All I can say Is I've been meaning to. This is a fortnightly meme of food and books. The perfect combination. Thank you Jain for hosting this meme. It's a brilliant idea and one of the most exciting I've come across. THE FAIRY FOLK AND SHE by Mary-Anne Grosse Ivie. I have to tell you that when this book arrived in the mail I said to myself that it had better be good because I had no wish to write a bad review or to feel obliged into writing a good one in spite of. I needn't have feared. 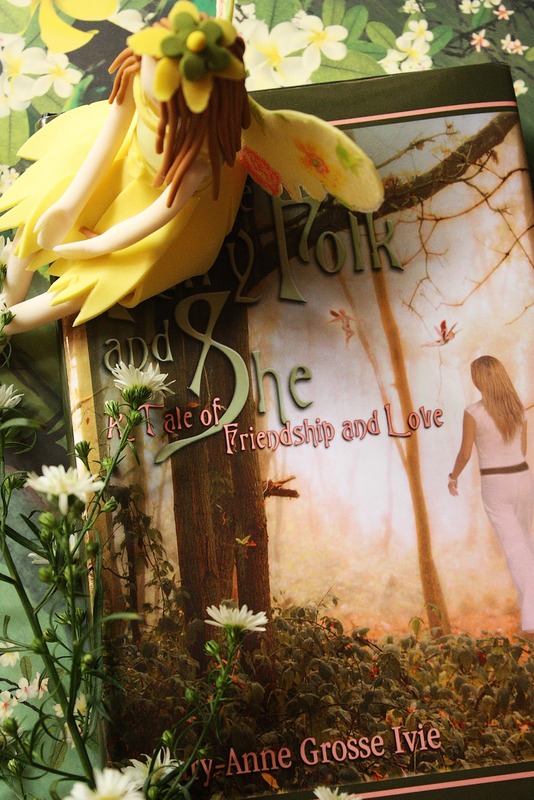 It was an enchanting fairy tale ~ with a twist. In the World Within a World of fairies, gnomes, elves, brownies, warlocks, witches, sorcerers and sorceresses lay the enthralling towns of Tranquility, Serendipity and Ever After and a little further away, Darkland, a place where evil triumphs. 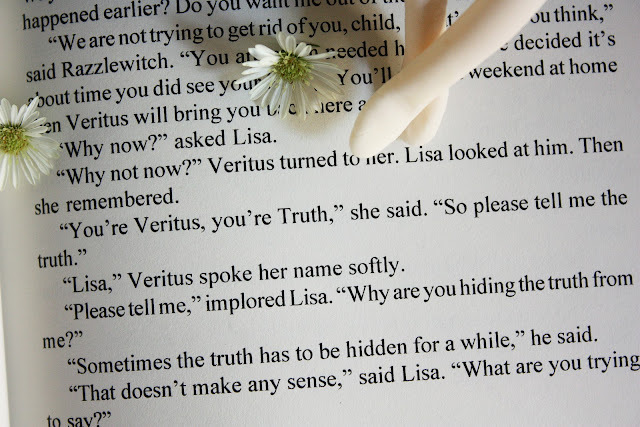 Lisa, the daughter of the Old woman in a Shoe sacrifices a good part of her life to Razzlewitch who, in return, saves her family from poverty and hunger. While there Lisa discovers that she has powers she never knew she had. 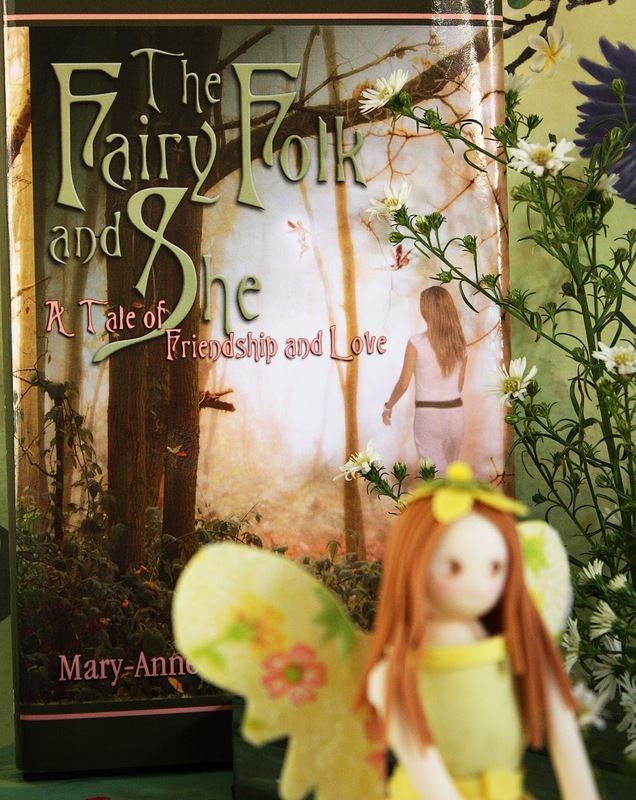 It is a story where love, trust and kindness conquers all A tale told by Mary-Anne, I believe, from her heart. Like all fairy tales the line between good and evil was distinct. Their names say it all ~ Verity, Melody, Kindred, Willoway and Zyneth the evil one. Although it was an intriguing fairy tale of good fighting off evil in which the child in me could sit back and enjoy I couldn't help but notice through my adult eyes, how, as the story went along, its characters raised, in their quest, the deeper and more soul searching questions of free will versus destiny, of the need to believe in the power of love and trust, and at one point, there even rose the question of the existence versus the non-existence of a supreme being. I found that as refreshing as the characters are innocently charming. I was especially surprised too at the way the story came to a close. I had expected the story to end with a scene in Tranquility. It didn't. Secretly, I wished it did. It would have been the most bewitching place to bring the gentle end of the story to. But then again it made complete sense that it didn't because Lisa was after all a human living a real existence in a real world. 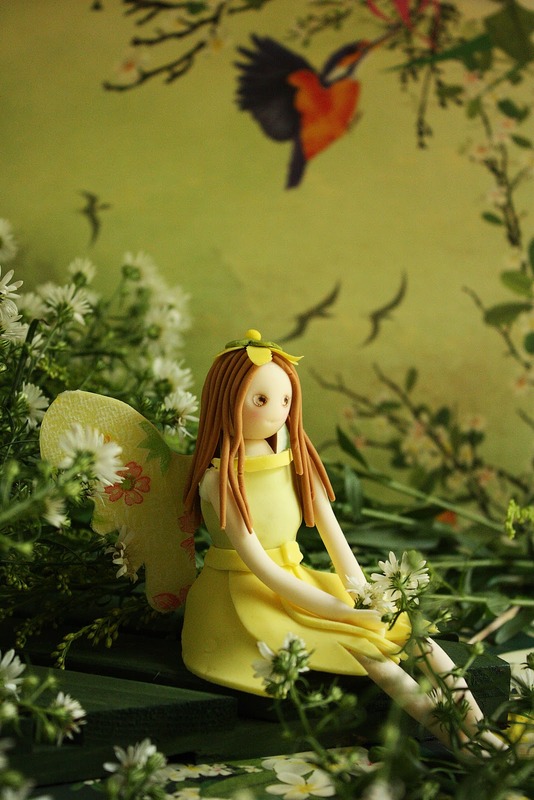 Life, as we know it, is not a fairy tale. I give this book 5 stars. 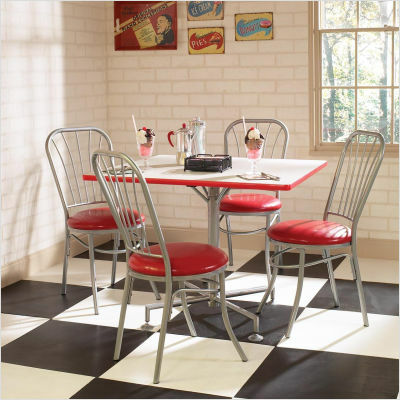 If I hadn't had errands to run because I was an adult I would have sunk myself into an overstuffed pillow, sucked on some lollipops and stayed there until I was being called for dinner as opposed to cooking it. 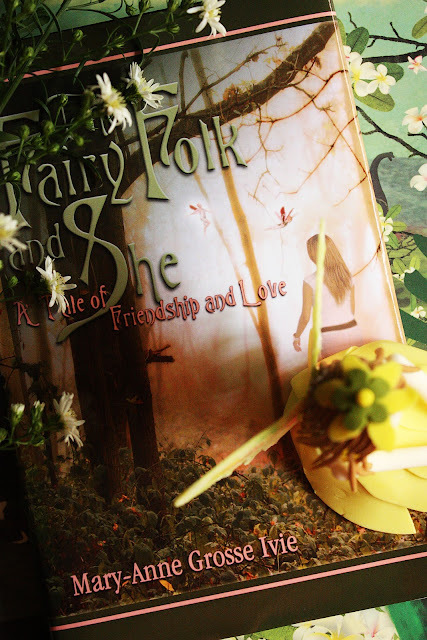 This is a book for both children and adults because it made me wish that I lived in Tranquility amoung fairies, elves, goblins, warlocks and brownies....minus Zyneth of course. Although there were ample mentions of food in the book especially the mention of pink fairy cakes first introduced when Seraphina the sweet fairy brought some to Lisa for tea I just couldn't bring myself to make them for this review. I should have because it became Lisa's favourite cake in the story. But I didn't. Fairies do something to me. They make me silly happy. I had such a blast making sugar paste fairies and I knew instinctively that she had to be sitting on a dreamy white cake (inside and out) deep in the woods, surrounded by shrubs, flowers and birds with lots of shade and bands of streaming sunlight. There! I said it. Please don't mind her eyes. She looks a little squint but I dared not rectify it further for fear of making her look even more startled. H says she looks like the blue female in Avatar. 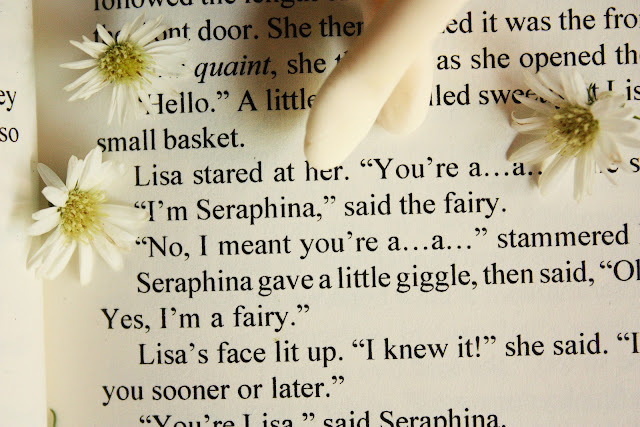 No dear..this is Seraphina..let me spell it out to you.... S-E-R-A-P-H-I-N-A ......The Fairy. 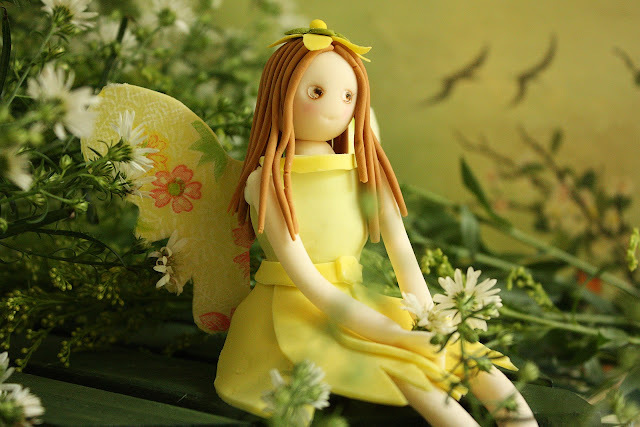 I had searched the interenet on some instructions on how to make the fairy and this is the best video that I came up with. It was very helpful but unfortunately it stopped short of showing how to form the body and her dress. So the rest they say is trial and error....and lots of patience. But most of all have fun! 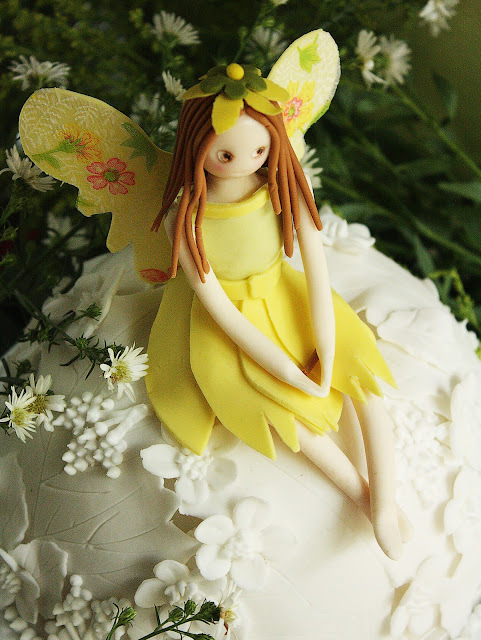 I had also made the limbs by eyeballing the amount of sugar paste since I did not have those fancy thingys. 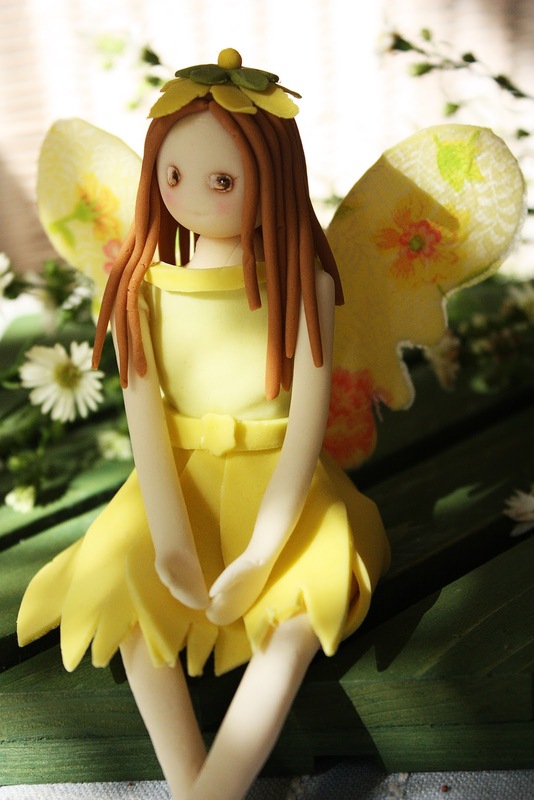 Then I had a problem making the blouse and skirt. It made me almost cry (in fun) (I think) but finally I did it. The most enjoyable part was deciding the colour of her clothes. So fun fun fun. I was silly happy. 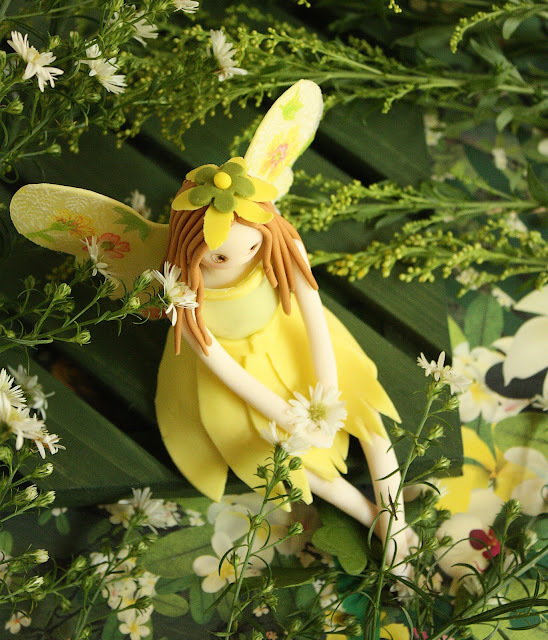 The flower 'hat' was another thing that made me silly happy making and putting it on her little head. And of course the hair made me feel like a fairy hair stylist. Now that I've bared my soul please don't judge me. Ah...And the WINGS! Oh that was so fun too. 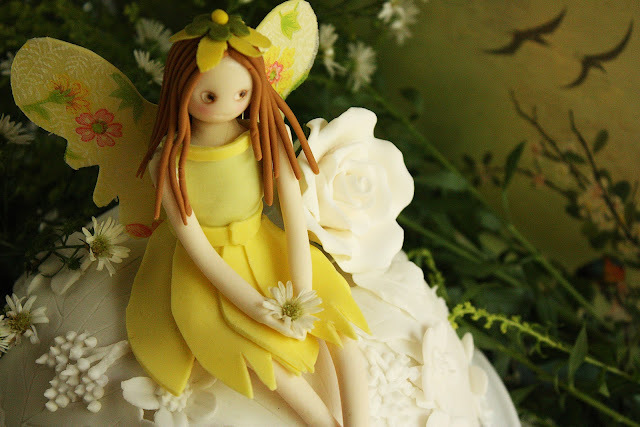 However they are only partly edible because I had used a gauzy paper print to stick onto the sugar paste wings for a more colourful and sweetly pretty pair of fairy wings. They were perfectly pretty. The rest they say is edible. Except for a toothpick in her little head and body. Finally I glued all the parts together with royal icing and how I love her long and slender limbs and little Cinderella feet. 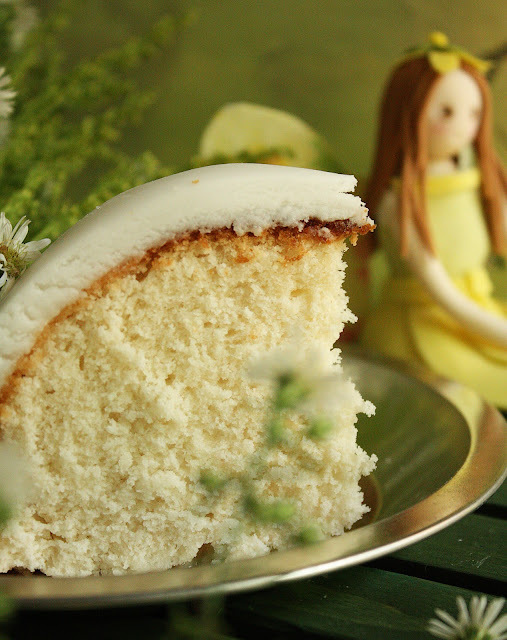 And the cake was a white cake from Collette Peter's, my favourite cake decorating book. It was soft, white and delicious. Grease and flour 2 9 inch baking tins. In a large bowl of an electris mixer, cream shortening until light and fluffy.Slowly add 1 cup of the sugar, continuously beating until fluffy. Add vanilla. In a small bowl, sift dry ingredients together. Ad 1 T of the dry ingredients to the shortening mixture and mix well. Then add 1 tablespoon of the milk. Alternate in this manner until the flour and milk is finished blending well after each addition. Do not overmix. In another bowl beat agg white until fluffy and then add the 1/2 cup of sugar and beat until stiff and shiny. Gently fold in teh egg whites into the flour mixture until blended. Pour into prepared pans and bake for about 20 minutes or until a toothpick inserted into the centre comes out clean. 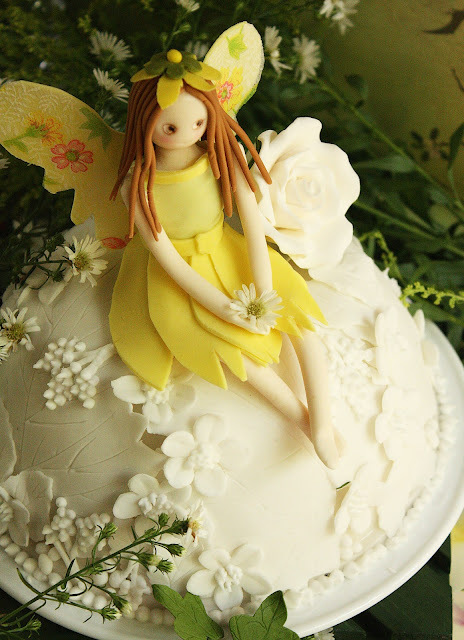 Decorate with fondant and sugar paste decorations. The recipe for the fondant and the sugar paste are here and here. 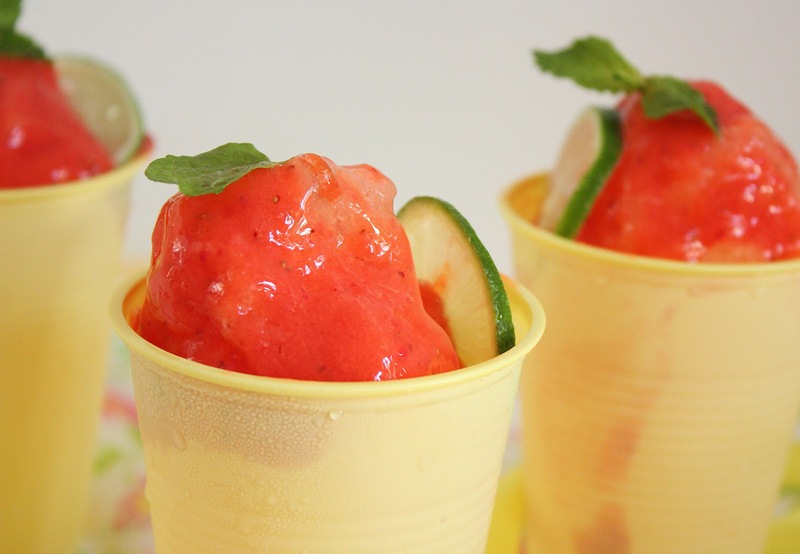 Did you know that you could shave ice in a blender? You did? In an ice kacang, snow ball kind of way I mean. You did? Well I didn't. I never thought of shaving just plain ice cubes in a blender and making a snow cone. Nope. Never. But Tyler Florence did and I am so pleased. But I have to tell you that I was nervous making these. Not because they were difficult to do. They were the easiest things to make imaginable. No cooking was involved. Just some blitzing in the blender and the whole process was over. But what was nerve wrecking was the thought of photographing food that has the potential to melt right before your very eyes. So I was working against time or rather against thawing and these were what I took. Melting snow cones. But they are pretty and Tyler Florencehas such pretty ideas. And not an ounce of fat in it. Don't you just love him? Although I would have added a little honey in it because the strawberries and the mango were not quite sweet enough. But it makes a great tropical and summery treat. Cool and so refreshing. And so easy. 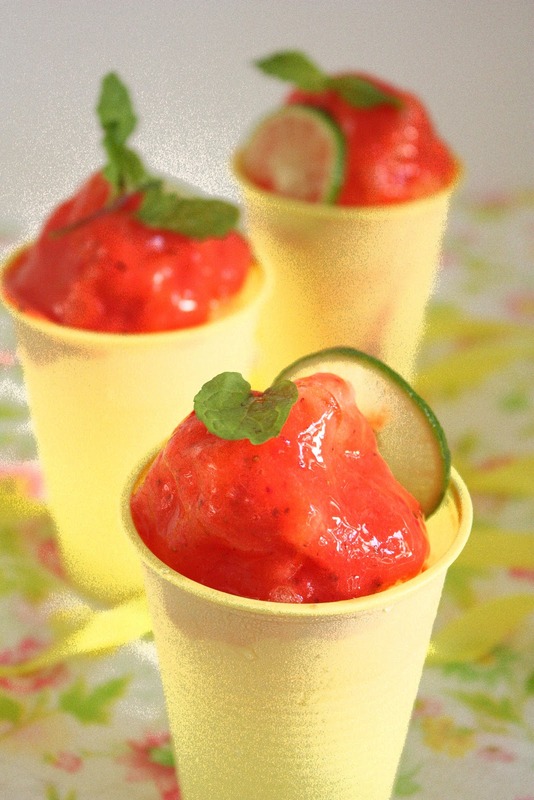 Guiltless indulgence these snow cones are. Oh yes. On a hot tropical day this is your answer to thirst. 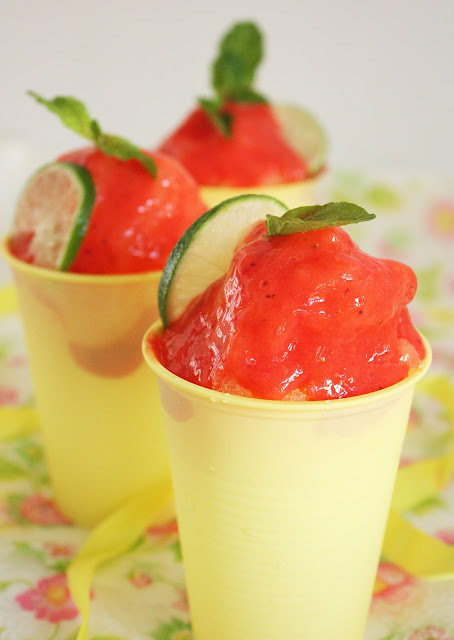 Puree mangoes and strawberries with the lime juice in a blender until fine and pureed. Pour int a jug and keep in the refrigerator. I would never have attempted these cakes because I never did like the flavour of almonds. I also imagined that for a cake to be called financier it couldn't be a good thing and because I believed madeleine-like cakes to be simply dry sponge cakes. 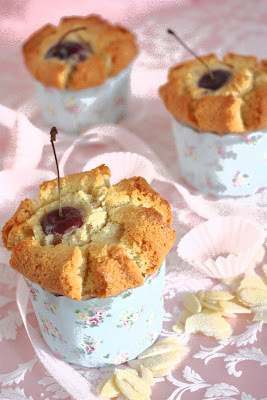 So I was glad when Sarah-Jane of siliconeMoulds.com had posted some financiers on her lovely blog and made them look anything but dry, financial or mercenary. Now I know how delicious these little cakes are. They were literally bursting over the top, each with a big, juicy, red cherry that looked like it was trying to burrow its way in but failing quite miserably because it was simply too fat. And too cute. And true to what Sarah-Jane had said....these were simply, simply delicious. 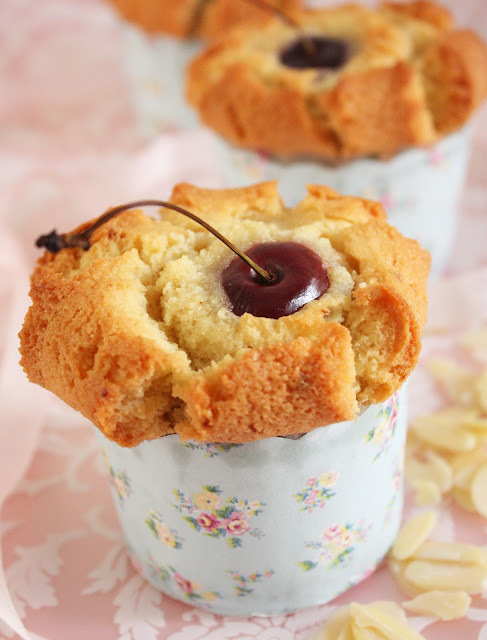 Very moist because of the double proportion of ground almonds to flour, the browned butter gave it a beautiful nutty flavour, it also had not the almondy flavour that was not to my liking and of course, for me, the big fat adorable juicy cherry just topped it all. And a little history before the recipe : According to Wikipedia they are believed to be called financiers because they became popular in the financial district of Paris around the Paris stock exchange. They were originally believed to be baked in small rectangular moulds thus resembling gold ingots which could be another reason they were called financiers. 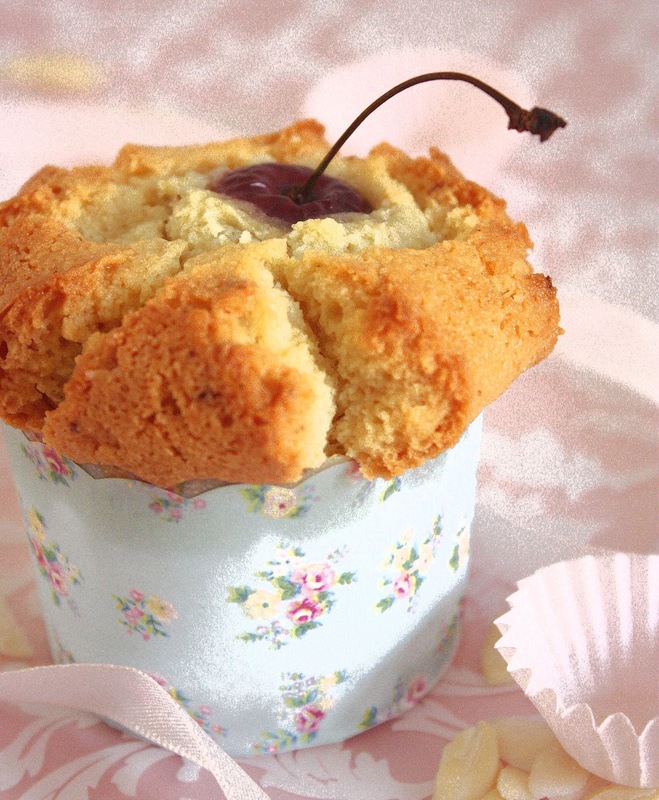 I had doubled the recipe below because I baked them in normal sized cupcake cases. 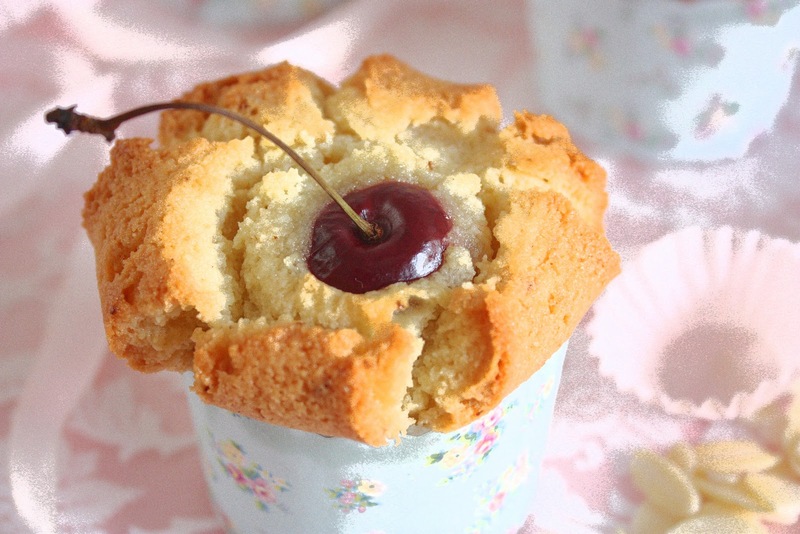 I got 6 lovely bursting with cherry financiers. Brown the butter to a nut brown. Sift all dry ingredients into a medium bowl and mix well. (I used an electric mixer). Add in the egg whites and mix until evenly blended. Add the hot browned butter and mix it in quickly until the mixture is well mixed. Pour into prepared cupcake cases almost right to the top. ( I had a space of about 1/8 of an inch between the edge of the rim and the top of the batter). Then top with a whole cherry on each with its stem attached. Put in the oven and bake at 200 C for 10 minutes after which I reduced the temperature to 180 C and baked for about another 15-20 minutes until the cakes were risen, golden brown and cooked firmly in the centre. Test with a toothpick. If it comes out clean without anything gooey attached its done. (You may tent the cakes with a piece of foil if it gets brown too quickly while the centre is not cooked yet). 'specially if I'm a goat. 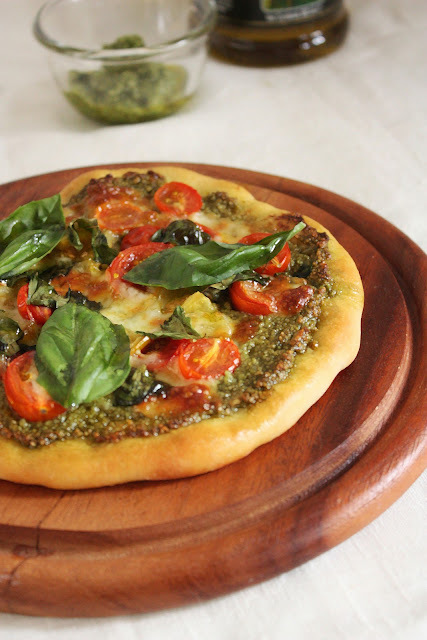 Green sauce on pizza dough. And landed, thankfully, in my face. Jamie's pizza crust is seriously good. Crispy and crusty and easy. Jamie Oliver's pizza dough recipe ~ I made half and I got 8 pieces of 7 inch pizza bases (I freeze the extras). Mix flour and salt in a bowl. Push aside. Put in the yeast, sugar and olive oil into the lukewarm water and mix well. Let stand a few minutes. (I left it for five because I couldn't wait any longer than that). 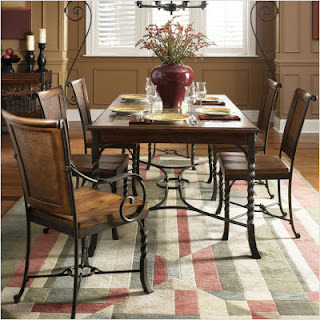 Pour the flour/salt mix onto a board or table and make a well in the centre. Pour in the liquid ingredients and slowly using a fork, let the flour at the sides of the well fall into the liquid until all the flour have been incorporated. Use your hands now and bring the dough together and knead until the dough is smooth and elastic. I kneaded for about 10 minutes by hand. Add flour a little at a time if the dough is too sticky but be wary. Do not add too much. Just flouring the board occasionally and flouring your hands well and kneading lightly should be sufficient. Once done let sit in a lightly oiled bowl, cover with a damp tea towel (clean) and let rise for an hour. Once doubled in bulk and it does not spring back when you make a belly button, take it out from the bowl onto a table top and punch it down to rid of air. 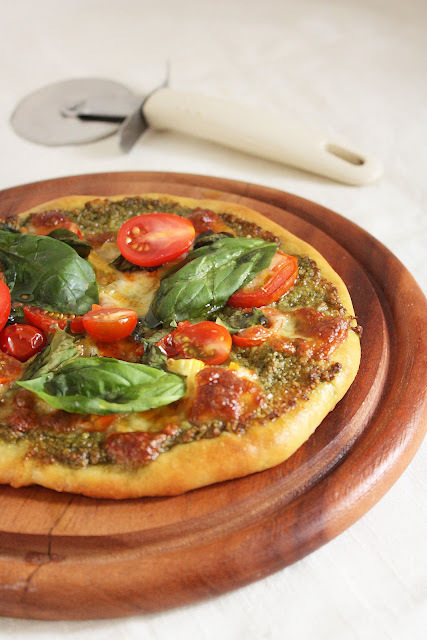 Divide the dough into portions depending on how large or small you want your pizza to be. Roll each piece into a smooth ball and then flatten with your hand into a thick disc. Then roll it out on a floured board until you get a thin circle of dough as thin or thick as you like. I like thin. Preheat the oven to the highest setting. 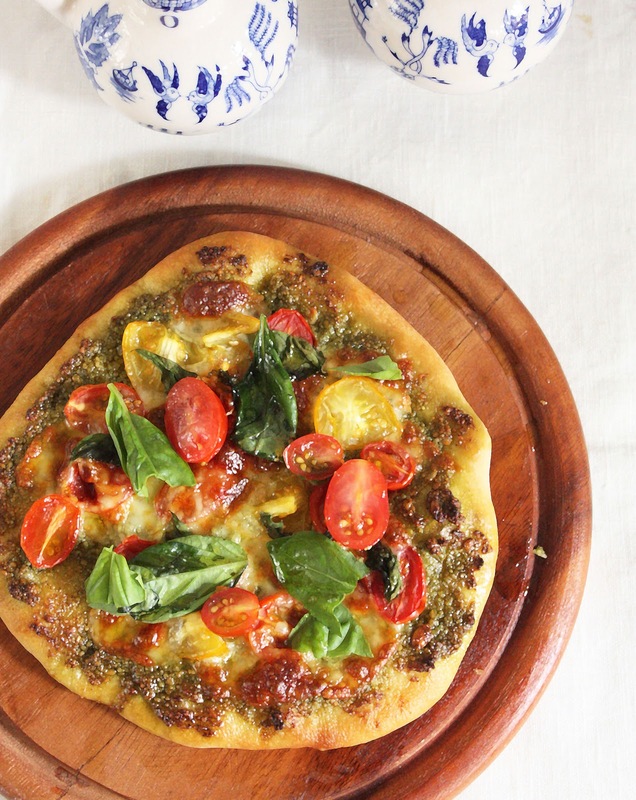 Slip in a baking tray (upside down preferably) if I you don't have a pizza stone. Let it get really hot, maybe 10 - 15 minutes while you prepare the topping. I lay the pizza dough disc on a piece of parchment paper a little larger than the pizza dough itself so that I could easily lift the topped pizza onto the baking tray by lifting the sides of the parchment. 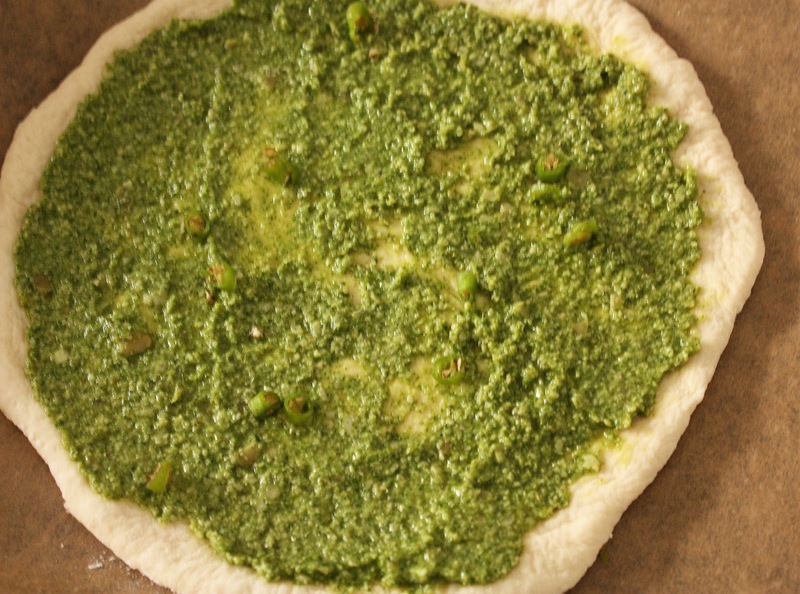 Spread the pesto over the dough. 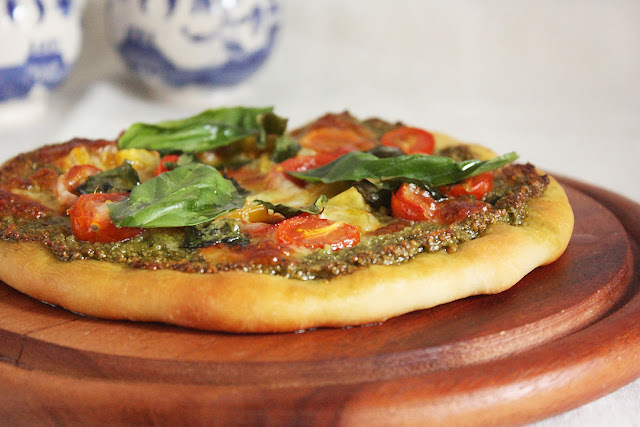 I topped the pizza with halved cherry tomatoes, crispy fried local anchovies, basil leaves, and then mozarella cheese. SERIOUS YUM. Lift the pizza by holding on the sides or corners of the parchment paper and slip it on to the baking tray. 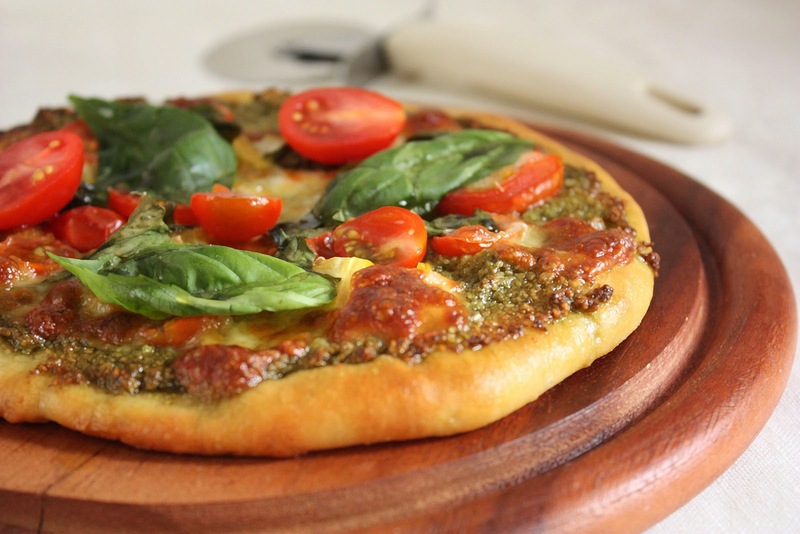 Bake for about 10-15 minutes or until the edges of the pizza crust are golden brown and crunchy. YUM YUM. I am submitting this to Yeast Spotting ! SWEETY PICKS A WINNER ! !